Craig Fear and I have very little in common, but there’s one thing we agree on 100%: What we eat should help us feel great. I’ve always been a pleasure-seeker. Made to eat veggies as a child, I eagerly imagined a utopian future when I’d be able to eat whatever I wanted, whenever I wanted, and in whatever quantities I wanted. Pizza for breakfast. Cake for dinner. By the time I got to college, I was doing just that. You can imagine how that panned out. 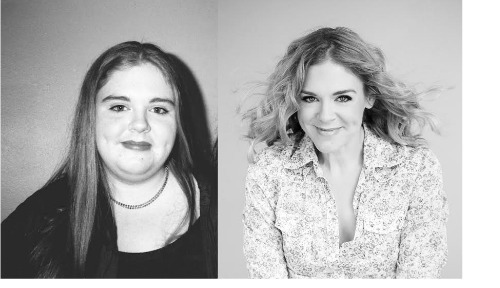 By my mid-twenties, I was a study in what happens when you opt to turn a blind eye to the impact your food choices have on your body. My skin was red and inflamed. My joints ached. I got sick a lot. I got winded on every flight of stairs. And that was just what was happening to me physically. In my head I had a whole other set of problems. I struggled to wake up every morning. I got more and more depressed. Because I have addictive tendencies, I ALWAYS WANTED MORE. I was never genuinely satisfied, even when my belly was full. I was eating and drinking to excess in the name of pleasure, but what I was actually doing was causing myself more and more pain. I was making myself miserable with the very foods I was eating to try to escape from my misery. Monkey Brains (bonus points if you can name the Indiana Jones movie I yanked that term from). Monkey Brains include anything that causes me distress – mental or physical. Sugar is Monkey Brains for me because it destroys my energy, and makes me obsess about and hunt for more sugar like a heat-seeking missile. Flour is Monkey Brains because once I take the first bite, I never get to a point where I feel satisfied. Milk is Monkey Brains because it blows me up like a balloon. Same goes for cabbage, beans, and popcorn. I avoid these foods not because I’m a an overzealous health nut, but because I’m still every inch a pleasure-seeker. The difference is that, today, I rarely settle for anything less than the deep pleasure that is only available to me when I respect how my body responds to the things I take in, and make my choices accordingly. I try to eat what will help me feel as good as possible as often as possible for as long as possible, period. For a lucky few, it’s enough to know what they can eat and what they should avoid in order to feel their best. These folks have little trouble sticking to nutrition plans that make them feel better. These are the folks that get a nourishing meal plan without the obsessive need for calorie counting and promptly arrive at a more comfortable weight and stay there. 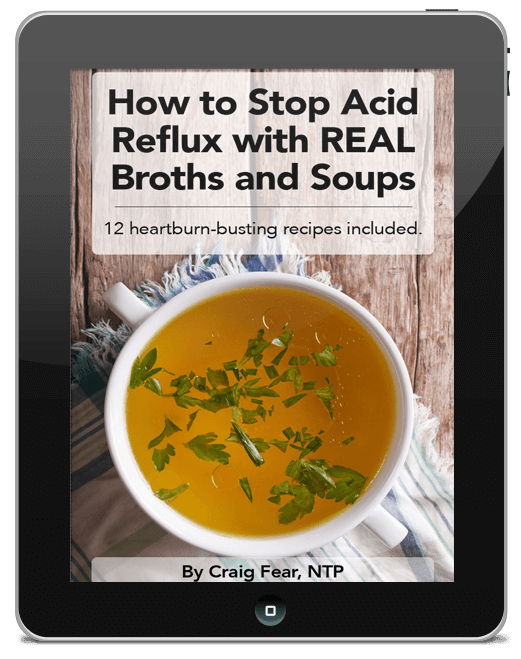 These are the folks who read The 30-Day Heartburn Solution, take Craig’s suggestions, and never have a problem with acid reflux again. For the rest of us, having clarity around which foods yield deep pleasure and which ones make us crazy usually isn’t enough to inspire us to make strong choices consistently. If you struggle to follow through with suggestions that would yield you deeper pleasure, you may need to address the root of your self-sabotage first. How we choose to respond when we hear that voice can mean the difference between one insignificant slip and years of pain. The first class in my Pleasure Principles e-course begins with how to anticipate and recognize that voice. Noticing the sabotaging voice is the first step to being able respond to it in a way other than funneling in more Monkey Brains in an effort to change the channel in our heads. Just because we’re thinking it doesn’t make it true. If our thoughts created reality, I might be blasting Journey, driving a black Corvette on the Pacific Coast Highway right now, not writing a blog post. What’s true – what defines reality – are the choices we make, and the actions we take. The sabotaging voice is just a thought. The actions we choose to take are the reality (the conditions, the gut, the body, the blog) we’re creating. The voice of sabotage is often a lingering echo of a voice from our childhood – the internalized messages we were given about our own worth – often by folks who were trapped in their own suffering. Deep down, you and I want to feel well – we want to feel the deep pleasure that comes when we make consistently caring choices. Our true voice, if we could hear it over the din of self-sabotage, would be yelping comfort and praise with every caring choice we made. 3. Is it a Monkey (Brain)? 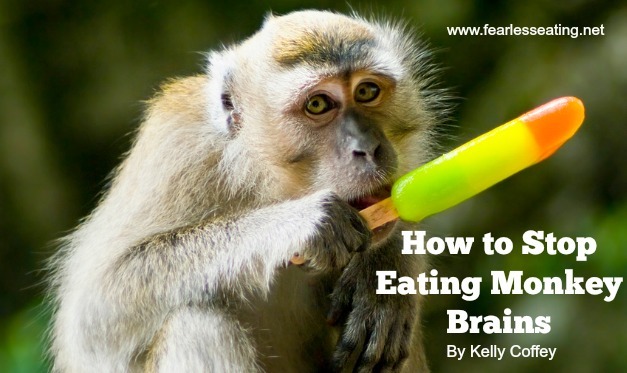 Monkey Brains aren’t just the foods that bring us more pain than pleasure. We’re just as capable of hurting ourselves with the thoughts we think as we are of damaging our bodies with the foods we eat. Continuing to entertain and buy into that defeated, health-undermining, self-sabotaging voice can result in depression, lethargy, anxiety, and unnecessary drama – not to mention all manner of social undesirability. If it’s causing us harm, whether it’s a snack or a notion, we can own the power we have to let it go. I approach dietary change from the head and the heart. I help my clients see how their current habits are impacting their peace of mind; I help them see how what they’re eating and what they’re thinking can impact their ability to be present for pleasure. I help them embrace abstinence from Monkey Brains, because the first step to taking good care of ourselves is to stop harming ourselves. As a Fearless Eating follower, you’re already getting terrific dietary information. Craig helps you understand what to eat and why. But sometimes the knowing and the doing are different things. If you need help with the doing (AKA how to stop eating monkey brains), I hope you’ll join me online on April 1st for my talk, Of Course You Can: 3 Essential Strategies to Slay Self-Sabotage. It’s totally FREE so there’s no talking yourself out of this one (though expect a self-sabotaging voice from inside to try to convince you otherwise). Just click HERE to register. Kelly Coffey, the personality behind Strong Coffey, is a personal trainer, blogger and coach helping real people overcome self-sabotage and self-harming nonsense to get healthier (and like it). She is the creator of The Pleasure Principles, a 4-week e-course to help others get happily grounded in healthier habits. You can learn more about Kelly and her work over at www.strongcoffey.com.